Two operating from a single solar panel with a dual output charger provide power into a 12v lighting and low power house system. Even at this time of year most of our evening lighting requirements are provided from one of these batteries. Only problem was that the original leisure batteries had bolt posts as well as car battery type terminals, so modifications required to install. Best price and super delivery. So far this battery is performing well. I hope it continues to do so for a good few years, unlike the previous makes I have used in my motorhome. Very speedy delivery. well packaged. good battery for a great price. 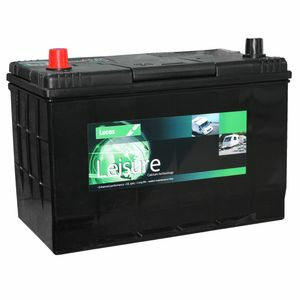 Our Technical Director opted for this battery, it is sufficient for what we require. Excellent delivery great product and great service. packaging and delivery were extremely good, to early to give a proper review of the battery. Great product well packaged and prompt on delivery... very prompt! Very good product. Good price. Delivered on time. Will use again.